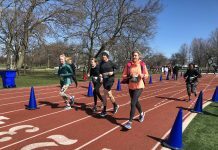 Over 2,000 racers gathered along the Kenosha waterfront for the Wisconsin Marathon, Half Marathon and 5K this past Saturday. 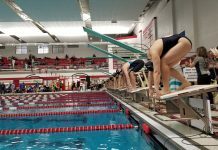 The event draws not only draws participants from the Kenosha/Pleasant Prairie area but also Milwaukee and Chicagoland regions. Racers parked in the surrounding lots for free and made their way to the start area adjacent to the civil war museum. Aside from the “All Cheese Corral,” racers self seeded themselves which had very little congestion for the 7 a.m. start. Race day temperatures were ideal in the 50’s which balanced out the stiff wind from the north that racers dealt with. Roads were completely closed through 1:30 p.m. race day and racers were supported with enthusiastic volunteers and hundreds of first responders along the course. 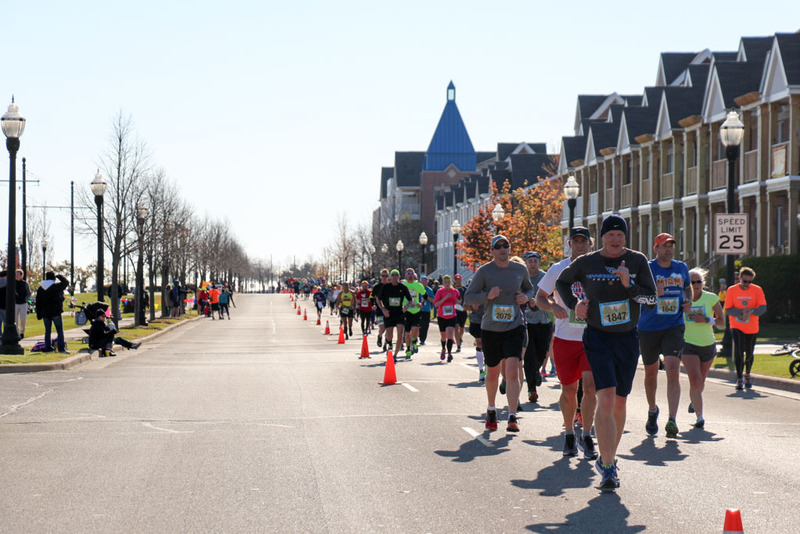 5K racers did a loop around Kenosha before returning to the finish. 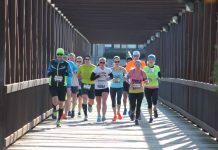 Half and full marathoners looped back south towards Pleasant Prairie and then north through downtown with a turnaround at Carthage College. The downtown area had a live band entertaining the runners and a handful of bars were full with supporters. As racers headed south toward Harbor Park, the finish area was in sight for the half marathoners. The large majority of racers completed the half distance and the finish area was filled with activity for those completing the 13.1 miles. For the 548 marathoners, they had wide empty streets to complete the second half of the course. Parts of the course were repeats from the first half of the race with additional miles along gravel residential roads. While there weren’t many supporters along the second half of the course, it was great to see the local residents support the runners. My personal favorites were the Elvis cutout with accompanying music and the grandfather/grand daughter duo handing out water. Half and full marathoners were awarded a stained glassed medal with corresponding ribbons. This race is organized, safe, well supported and has a distance for everyone. I definitely recommend to put this on your calendar for next year.